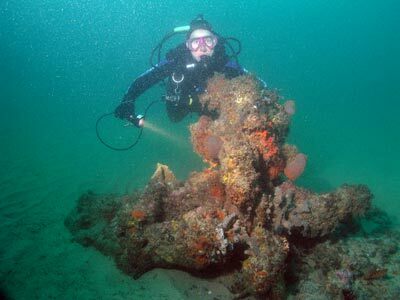 Michael McFadyen's Scuba Diving - SS Royal Shepherd One of Sydney's most compact shipwreck sites would have to be the wreck of the SS Royal Shepherd, located only a few hundred metres outside Sydney Harbour off South Head. The Royal Shepherd was built by Blackwood and Gordon of Paisley, Scotland and launched in 1853. Originally owned by the Launceston and Melbourne Steam Navigation Co., the Royal Shepherd was 331 tons, 42 metres long and 6 metres wide. Powered by a twin cylinder oscillating steam engine, the ship was at first based in Melbourne. It looks like the the ship left for Australia on 16 December 1853. Roma Anderson (see references) advised me as follows. My great-great grandfather Thomas Fielding, his wife Mary and three children, Sarah, Martha and Thomas came to Australia on the Royal Shepherd. They left Greenock [Scotland] on 16 December 1853 and arrived in Melbourne on 1 April 1854. According to a family record, the ship was privately owned. A friend of my g-g grandfather was coming to Aus. with a cargo of merchandise to be sold on behalf of the owner and offered Thomas a passage for himself and family. The other passengers were the Hurst family, Miss McTaggert and Mr Andrew. These were possibly the first passengers. I believe that it was originally built as a passenger/cargo vessel for the Bass Strait service. In the 7 April 1854 edition of the Hobart Courier newspaper, it was reported that the Launceston Steam Navigation Company (in Tasmania) had purchased the Royal Shepherd for £13,000. It is not known why the ownership changed so soon after she arrived in Australia. It stated that repairs and alterations were being carried out and that when finished, there would be 48 berths (presumably an increase on the previous number). Later, the ship moved to Tasmania, Adelaide and finally Sydney. The ownership changed many times over the years, with owners including Tasmanian Steam Navigation Company, Spencer Gulf Steamship Co. Ltd, H.J. Cattanach, W.A. Firth, T. Elder et al and finally J. Warburton and Son of Pyrmont, Sydney. On 14 December 1854 the ship departed Hobart for Geelong with four adults and two children as passengers. On 25 March 1853 she arrived in Launceston from Melbourne. On 25 February 1855 the ship departed Melbourne for Geelong, presumably on the way to Tasmania. On 25 March 1855 the Royal Shepherd arrived in Launceston from Melbourne. It seems to have worked out of Launceston from this date. 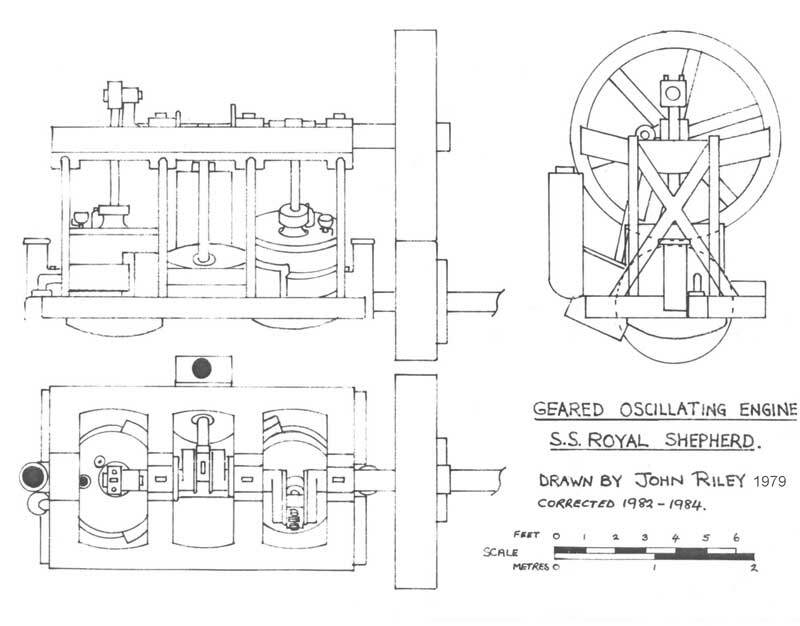 In the middle of October 1860 a new boiler was constructed for the ship in Melbourne. I am not sure where and when it was installed. In 1865, the Tasmanian Steam Navigation Company took over the Launceston-Melbourne Steam Navigation Company together with its ships including the Royal Shepherd. It appears that it later moved location as on 30 January 1871 the Royal Shepherd arrived in Melbourne from Adelaide in South Australia. Later the same year, it arrived in Melbourne, also from Adelaide, on 26 August. Sometime between 1865 and 1876 she was sold to a nine man syndicate trading in the Spencers Gulf, South Australia. In 1876 this syndicate became known as the Spencer's Gulf Steamship Company Limited. This Company traded until 15 December, 1882 when it amalgamated with the Adelaide Steamship Company. 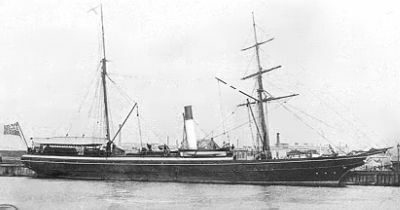 However, the new Company could not keep all their ships in full use, so at various times in 1884 and 1885 they instructed Elders, a Sydney shipbroker to sell the Royal Shepherd for £2,800. She was sold to Joseph Mitchell of Sydney for use as a collier for £800. On 29 October, 1885, he raised a £901 mortgage from the Adelaide Steamship Company. This mortgage was discharged on 11 October 1886. In June, 1886, J. J. Cattanach (trading as the Cattanach Chemical Company) bought her and, used her for carrying refuse and sewage from Sydney to outside the Heads for dumping. Then, in August, Cattanach took out a £3,000 mortgage from William Alexander Manning who immediately transferred the mortgage to the Mercantile Bank of Sydney. The mortgage lapsed in October, 1889 "due to unfortunate circumstances" as reported in the press, forcing the Mercantile Bank to sell the Royal Shepherd on 31 October 1889 to Charles George Warburton. He used her in the coal trade until January 1890 when she was sold to W. A. Firth. Under this ownership, she was used to bring coal from South Bulli and Bellambi to Sydney. On Monday 14 July 1890 at 9.35 pm, the Royal Shepherd left Sydney Harbour for Bulli to load coal under the command of Captain Thomas Hunter. An interesting point is that Captain Hunter was the skipper of the SS Duckenfield which sank less than 14 months earlier in May 1889 only a few kilometres north of the Harbour at Long Reef and had only just received back his master's certificate after that incident. On the way out of the Harbour, the Royal Shepherd was towing the schooner Countess of Erroll (also owned by Warburton) which was bound for Wollongong. The Heads were cleared at 10.30 pm and a course to the south was steered. At 11 pm the lights of three or four vessels were seen and at 11.15 pm the SS Hesketh, a heavily laden collier heading into Sydney Harbour, collided with the Royal Shepherd and bumped the Countess of Erroll. The Royal Shepherd sank within 10 minutes, the skipper of the Countess of Erroll cutting her free when he saw the Shepherd was going to sink. He set sail for Wollongong but due to strong head winds he put about and went to Newcastle. It is not known why he did not assist with the rescue but I assume that he was worried his vessel may have been blown ashore. Meanwhile, the Hesketh rescued all the crew of the Royal Shepherd and entered Sydney Harbour. A Marine Board of Inquiry found that the skipper of the Hesketh, Captain Marcus Osborne, was responsible for the collision "for not stopping and reversing in time to avert a collision". His master's certificate was cancelled for six months. 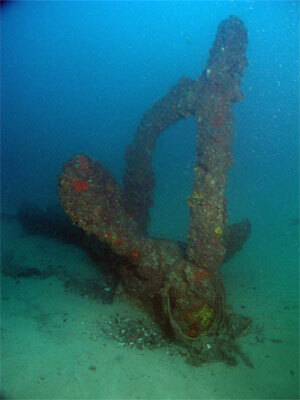 The wreck of the Royal Shepherd was revealed to the Maritime Archaeological Association of NSW in February 1979. However, the South Pacific Divers' Club newsletter, Wet Rag in its June/July 2007 issue states that it was found in 1976 by Martin Kandilas, John Verren and Dave Bailey. 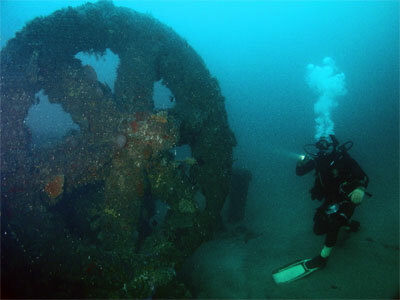 Since then, many thousands of divers have dived this wreck. 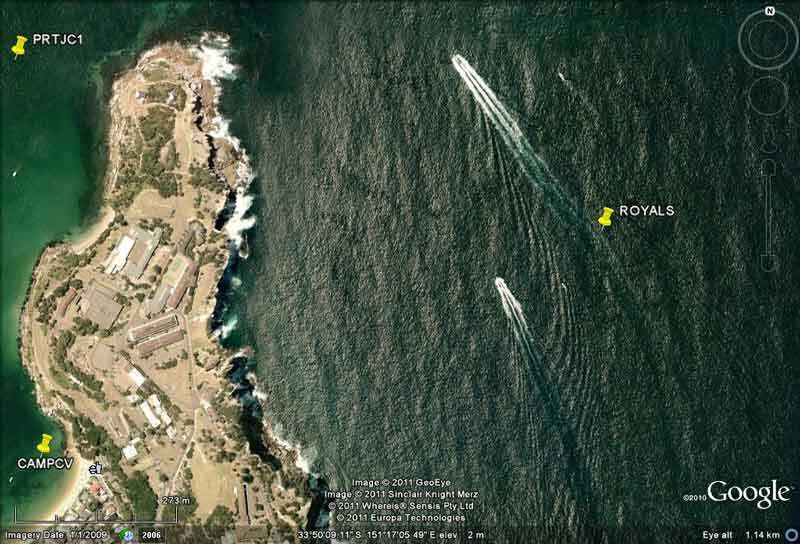 Once you come out of Sydney Harbour, head out at about 100° for 750 metres to a point just off South Head. The GPS Readings for the wreck are 33° 50' 14" S 151° 17' 12" E. Note that all the GPS Readings on my Web Site are taken using AUS66 as the map datum. If you use another datum you may be about 220 metres off the wreck. See my GPS Page for more details and how to convert readings. I would suggest that the best way to find the wreck is to run in on the southern mark which is the spire of the church at Watsons Bay right on the edge of the cliff. As you approach the south-western mark, you will see the wreck come up on your depth sounder. Depending on winds, you will then need to turn and immediately drop anchor. You may need to try a couple of times to get a hit as the wreck is very small. 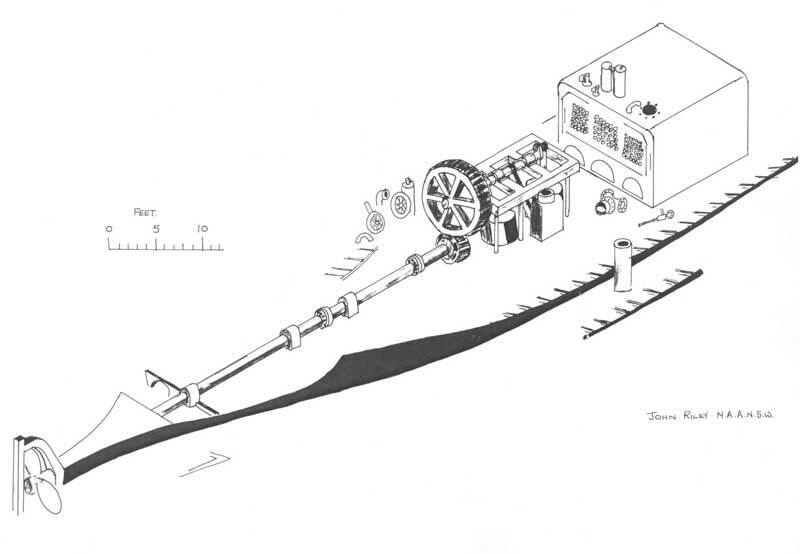 The wreck now consists only of the boiler, engine, driveshaft and prop sitting upright on the sand at 30 metres and further away, the bow winch. 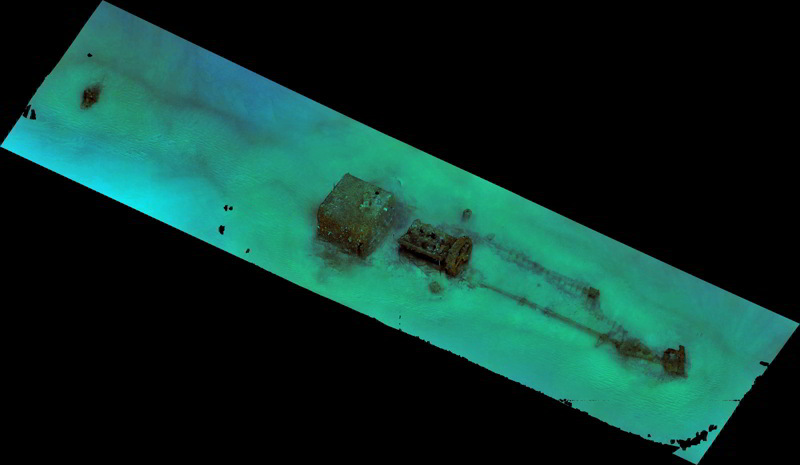 The wreck lies running almost due north-south, with the prop at the northern end. From the stern you will see the prop with two blades showing above the sand. From here the driveshaft runs south to the flywheel. This is very large and towers over the rest of the wreck site. In front of here the engine, now over 140 years old, is, according to noted wreck authority John Riley, the best presented example of an early steam engine in Australia. Unfortunately, there is little else left apart from the engine and mechanicals. It is an especially interesting engine as the compound steam engine is inverted, with the cylinders at the bottom of the engine and the crankshaft at the top. Most engines have the cylinders on the top. 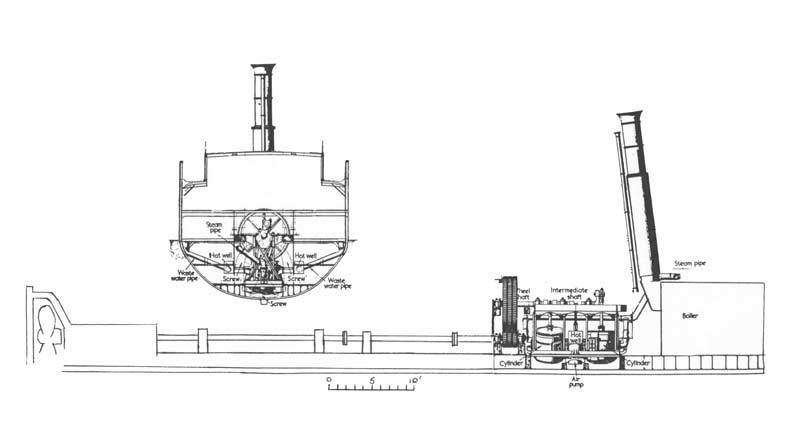 Forward of the engine is the boiler. Unlike nearly every shipwreck I have ever dived on (as far as I remember) the boiler is square. The wreck appears to end south of the boiler but in fact there is more wreckage about 15 metres away. Swim south in a direction lined up with the main part of the wreck and you will come across a small deck winch. Fishlife is not all that prolific, but you will see moray eels, cuttlefish, bullseyes and some species of leatherjackets as well as small flathead on the sand. 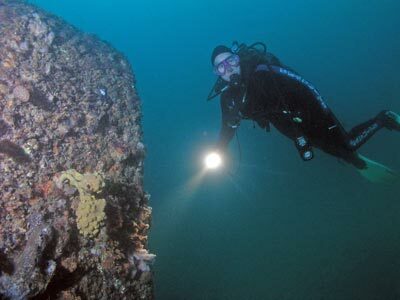 At a depth of 27 to 30 metres, the wreck is one that is easily accessible to all experienced divers. 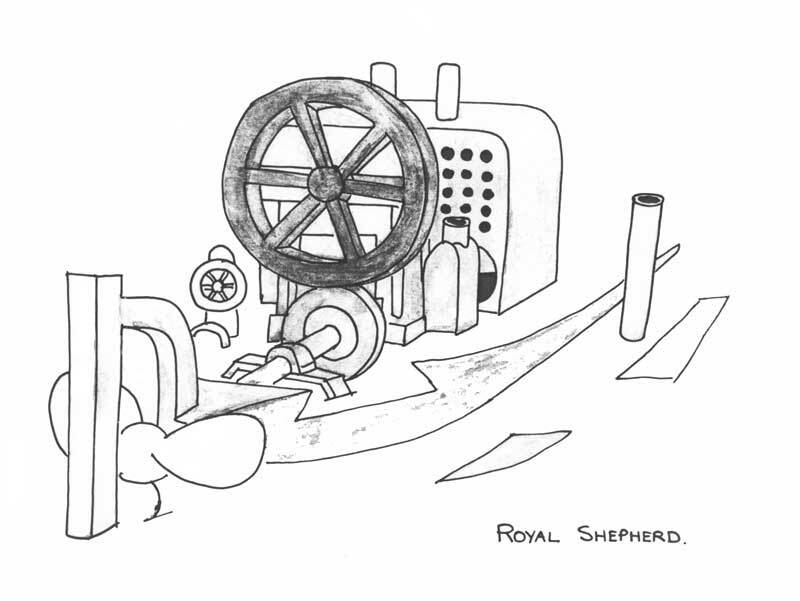 However, due to its close proximity to the entrance to Sydney Harbour, the Royal Shepherd is sometimes subject to dirty water, especially after periods of heavy rain. An incoming tide is best, I had 25 metres in late December 2003 about two hours before high tide. As it is a bit protected from southerly winds and seas, it is a good alternative dive when there is a big southerly running. In summary, the SS Royal Shepherd is a very good, if somewhat small, dive site, that is a bit too small to be dived more than once every now and then.